SISSEL® ORTHOPEDIC NECK PILLOWS MADE FROM HIGH QUALITY POLYURETHANE OR VISCO-ELASTIC FOAM. A deep, healthy sleep is one of the basic requirements for relaxation from the daily challenges. Pains coming from the neck, whose cause is often misdiagnosed, disturb this process. This is where the SISSEL® Neck pillow helps. By supporting the lower cervical vertebrae and, thereby, relieving the neck muscles, the SISSEL® neck pillow provides substantial support to achieve a deep and relaxing sleep. 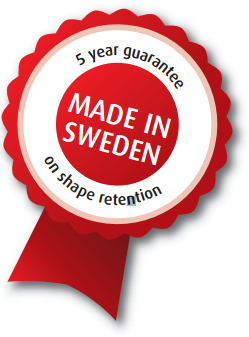 SISSEL® neck pillows contain no latex and come with a five year warranty on shape retention. Ordinary pillows do not support the neck sufficiently and do not provide relief of the neck vertebrae. 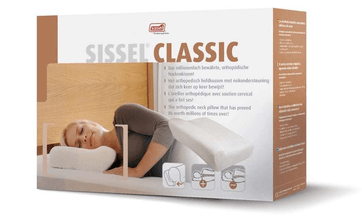 The SISSEL® neck pillow supports the neck perfectly, whether you sleep on the side or back. Pain in the cervical region (neck). Tense neck muscles resulting in tension headaches. 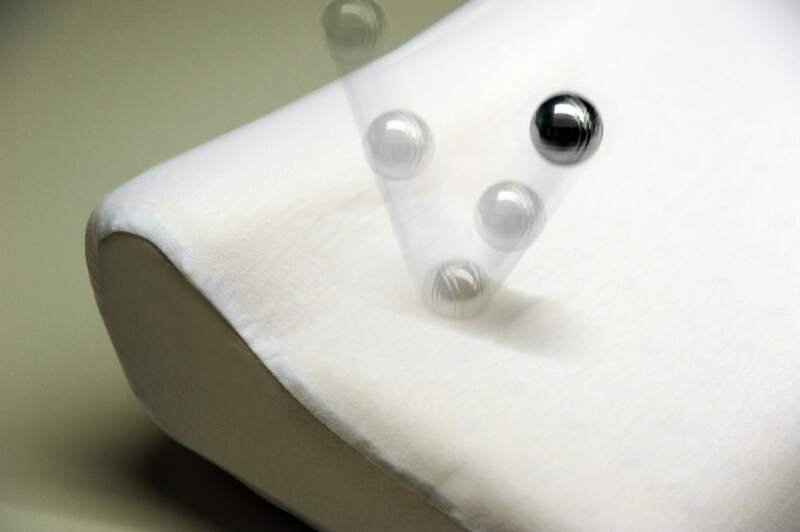 Sleep problems caused by tensions. Also in case of osteoarthritis and prolapse issues – after consultation with your physician. Prevents a bending of your spine, when sleeping on your side. Tämä metallipallo demonstroi kuinka materiaali toimiii pehmusteena, tukee mutta samalla uudelleenmuotoituu paineen muutoksesta. Tuote on tehty Ruotsissa, sille myönnetään 5 vuoden materiaalitakuu.